I’d be happy to assist and help you in whatever stage you’re at right now in your small business Wordpress journey! Purchase this Wordpress Theme Discovery & Customization Consultation to get one-on-one help to discuss your ideas, desires, and needs for your customized Wordpress theme, design, or receive guidance, direction, and options for a clean, and creative solution without further commitment. This consultation purchase includes an hour in-person (Gilbert, AZ location), phone, or video consultation based around your current questions and needs, along with a customized solutions guide created from the results of our consultation. You’ll feel confident with a clear direction to implement, peace of mind, have answers, and an actionable plan ready to go. Do you need help in choosing or customizing the design of your WordPress theme? Stuck on where to start? Do you need help buying and implementing a domain name and installing WordPress? Do you need help from a professional designer to polish the look and feel of your site with custom graphics or additional landing pages? Are you not sure what business model will be the best choice for you to sell your services or products online? I’d be happy to assist and help you in whatever stage you’re at right now in your small business WordPress journey. I’ll listen and discuss your ideas, desires, and needs for customized WordPress theme or design and give you direction and options for a clean, and creative solution! Get started with the WordPress Theme Discovery & Customization Consultation to explore your options without a commitment. This consultation purchase includes an hour in-person (Gilbert, AZ location), phone, or video consultation based around your current questions and needs, along with a customized solutions guide created from the results of our consultation. You’ll feel confident with a clear direction to implement, peace of mind, have answers, and an actionable plan ready to go. Simply purchase this consultation and I’ll contact you to set up your desired time and a step-by-step questionnaire and checklist to have ready for our consult. I can’t wait to meet you and offer you solution to your design needs! Have a question? I’d be happy to help answer it. Want to see previous client’s work? Check out my portfolio. 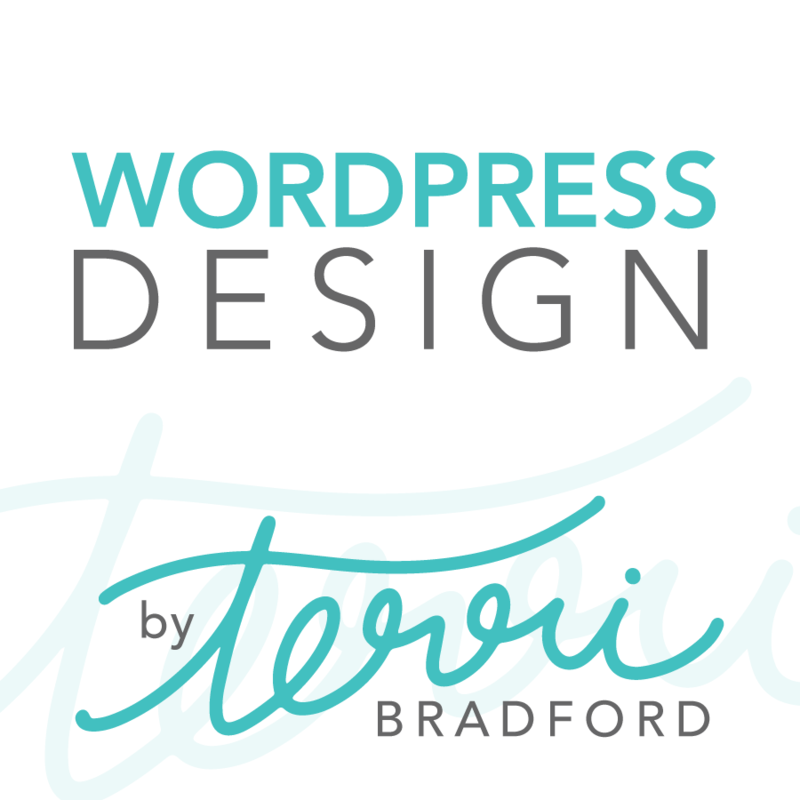 Visit my About Terri page to get to know a little more about me and my business, marketing, and design experience. If you agree that I’m the right person for your WordPress project needs, I will be happy to apply this consultation fee to reduce your overall design or technology service fee and deposit for your specific project if you need additional services (discussed in detail during your consultation). I will take the results of the research in the consultation phase and focus on the start of the next phase if you need additional services or guidance and break them down into actionable solutions to get you up and running with WordPress! Still not sure if this is what you need? Ask if your questions can be addressed first before purchasing a consultation here. This consultation purchase includes an hour in-person (Gilbert, AZ location), phone, or video consultation based around your current questions and needs, along with a customized solutions guide created from the results of our consultation. You can redeem this consultant fee time for up to 3 months after purchase. No refunds will be made under any circumstances. You will not receive any physical products with this purchase. Results are not guaranteed. I will be happy to apply this consultation fee to reduce your overall design fee and deposit for your actual project (discussed in detail during your consultation) if applicable.